How Far is The Summit? If you’re looking for something elite and convenient… we offer you the zenith in luxurious living. ‘The Summit’ -128 spacious and stylish 2 & 3 bedroom apartments, spanning 93,000 sq.ft across 2 blocks of 9 floors each, flanked by beautifully landscaped gardens and ornamental foliage. Enjoy access to top-grade facilities…swimming pool for adults and children, fully-equipped air-conditioned gymnasium, indoor shuttle court, jogging tracks, club-house with steam room, Jacuzzi, Table Tennis and community hall. Besides, each individual apartment is well equipped for convenient living with intercom facilities in all bedrooms, 1000Wpower back-up and more. The Summit is situated at a prime location as well, on the Mettupalayam Main Road, right opposite the BSNL main office. It is close to major road, rail and air transport hubs as well as landmarks like Sri Avinashilingam Home Science College for Women, Higher Secondary School for Girls and lisieux Higher Secondary School, Government college of Technology, Ganga Ortho Hospital, Annapoorna Hotel, TVS Car Showroom, and the up market city areas of Saibaba Colony, RS.Puram and Gandhipuram. Come,discover for yourself the classy living experience that’s ‘The Summit’. Find the refined lifestyle you desire, complemented by the best amenities and comforts, right here in Coimbatore. Designed for seismic Resistance using Fe 500 Steel (High Quality) as per IS Code. Exclusive kitchen cabinet with heat and fire-resistant shutters. Colored granite cooking counter with stainless steel sink. Glazed dado at 2 feet height above counter. Main Door – Teak wood frame with teak wood shutters with side paneled stained glass. Designer titles up to roof level with intermediary borders. Copper wiring in PVC conduits, modular plate switches, MCB (Miniature Circuit Breaker) and ELCB (Earth Leakage Circuit Breaker) Systems. Intercom facilities, TV and telephone cable provision. Partially textured/title finish, with exterior acrylic emulsion. Landscaping garden with children’s play area. Attractive landscaping with ornamental foliage and play areas interlinked with pathways. Imported concept lighting for common areas. Arima Constructions is one of the fastest growing real estate and infrastructure development companies in the industry. The company has its origin way back from 1960’s with the construction of public utility projects like water systems, drainage, housing board projects and slum board projects. 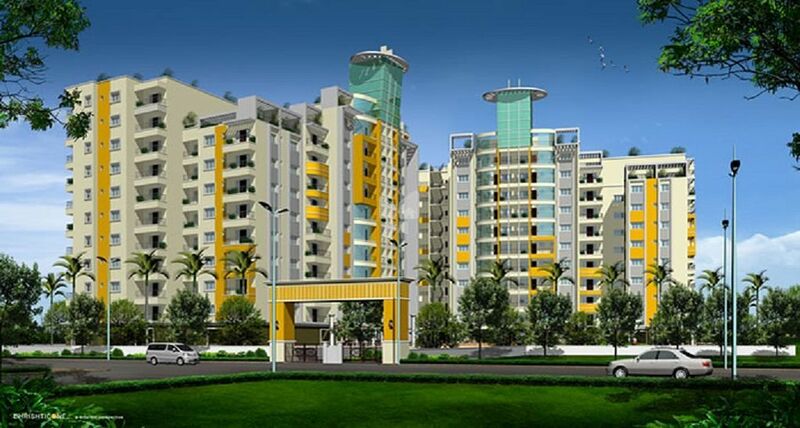 In 1983, the group has executed several private flat promotion projects. The remarkable and illustrious portfolio covers over 1.5 million sq.ft of completed and on-going projects. At present, three major projects namely Cyprus Oaks, Summit and Sunnyside comprising of 700 premium apartments were launched at prime locations. Professionalism, accountability, transparency, superior quality standard and an undying thirst for excellence forms foundation of the company. The company pride itself on delivering all its projects on time at competitive prices. This has helped the company in gaining trust and confidence of an ever-growing list of satisfied customers who have benefited from the personalized service, extensive domain expertise and flawless performance of the company. Value maximization is one of our core competencies where the Company excels at offering optimal value for money without compromise on the quality of final product. Customer-focused approach and continuous quest for world-class quality have enabled us in creating contemporary residential masterpieces that will bring together the best in beauty, design, comfort, amenities and location. We are recognized for our strength in traditional construction methods and for our creative approach to cutting-edge technologies and delivery systems. We apply our expertise to a broad spectrum of construction-related services and delivery systems including: preconstruction, construction management, general contracting, design-build and alliance partnerships. We believe that progress must be achieved in harmony with the environment. A commitment to community welfare and environmental protection are an integral part of our vision.